to the world of crypto. a portfolio manager, invest in others. as the platform’s currency converter. Tokenbox uses its own nodes, this is pretty important when it comes to safety issues. We also created reliable software to ensure that your work with crypto assets is completely safe. Universal cryptocurrency wallet for secure storage of digital assets and exchange. Separate accounts for different trading and investment strategies. Cryptocurrencies for investment or trading can be purchased directly through Tokenbox services, with fiat money from your bank account. Diversification is a number one risk management tool. For that, you can build your own investment portfolio based on one, or many fully transparent Tokenized Portfolios. Showing your strategy, performance and stats gives the best possible promotion. Thanks to our filters and visual representation a token can be easily found and added to the investment portfolio in just couple clicks. All our customers pass verifying procedures. Being a regulated entity, we are obliged to handle AML (Anti Money Laundering) and KYC (Know-Your-Customer) policies. Users can authorize via Telegram Passport service, which is fast and safe. A carefully developed software will work perfectly both for beginners and experienced traders. We made our trading terminal and management tools super-friendly, smart and intuitive. We developed a way for any customer to tokenize their portfolio, and issue a tradable token. The value of this token is fully tied to the performance of the portfolio, and benefits depend on results of the trading. 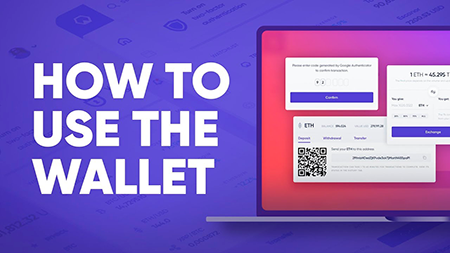 The Tokenbox team is pleased to present the Alpha version of a multi-currency Wallet, which is the first yet very important step of the platform's development. Round Table: Is Crypto Bullishness Back Or Is This Just A Short-Term Trend? The password must be at least 8 characters long, be of mixed case and also contain a digit or symbol. These companies, along with thousands of users, make Tokenbox happen.